From the Stranger Things collection by Funko. 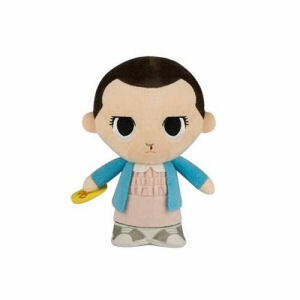 Stranger Things Eleven Super Cute Plush. From the Stranger Things collection by Funko. Stranger Things Eleven Super Cute Plush. Plush measures 8 inches tall. Funko Stranger Things Plush and Stuffed Animals shipping from Canada. No Surprise Border fees or Customs!